Cell Pack Solutions Ltd are an independent bespoke Battery Pack Manufacturer and Distributor and have been in business for almost 20 years. Over this time we have forged close working relationships with a number of the largest battery manufacturers in the world. Based in South Shields in the North East of England we are fortunate that we are also very close to one of SAFT’s manufacturing plants. One of the challenging issues that we are facing at the moment is the tremendous pressure on supplies of lithium batteries of all types. 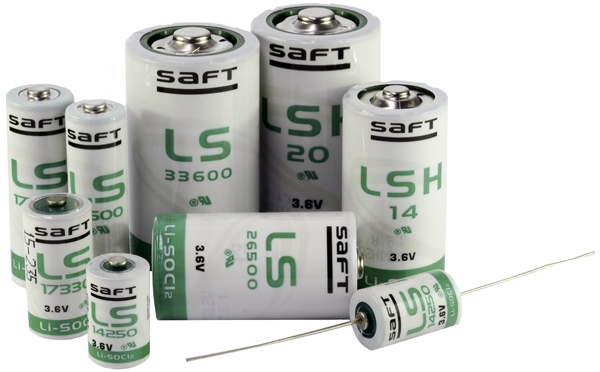 As an authorised SAFT Distributor we have tried to counter this by holding more SAFT lithium batteries, in particular the Lithium Thionyl Chloride range; low rate bobbin wound types like the LS14250, LS14500, LS17500, LS26500 & LS33600, as well as high rate spirally wound types like the LSH14 and LSH20. We are trying to support our own existing customers by placing longer forward orders well in to 2019. The days of expecting manufacturers to be holding vast quantities are long over and distributors have an important part to play. We have a vast experience in supply of both standard cells and creating specialist battery packs. Why not give us a call and maybe we can help you with your battery requirements. Will you provide qty.3 LO26SX Saft batteries? Sorry we can’t help on this occasion. We are looking for approx 80 6v blocks nicad from saft. They are STM5-100MR. Are you able to source at all or point us in the right direction? Unfortunately, it’s not a product we stock and we recommend contacting Alcad to see if they can help you.